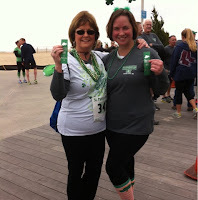 This past weekend I ran the St. Patty's Day Boardwalk 5K in Ocean City, Maryland for the first time. Like you would expect from a St. Patrick's Day race, leprechauns and green costumes dotted the course as runners and walkers alike were out for a good time. And I didn't do this race by myself - my mom signed up for this event as her very first 5K! 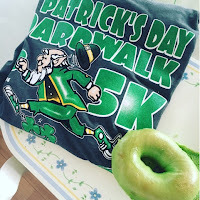 Prior to heading into town for the run, I grabbed a bagel from the shop down the street and, wouldn't you know, the bagel had the luck of the Irish with it. Race day morning was perfect weather for a 5K by the beach - it was in the low 50s and overcast. The 5K begins and ends at Shenanigan's on 4th Street and the Boardwalk. 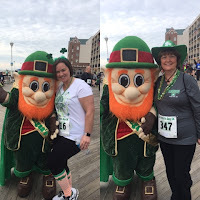 There was a DJ outside of the restaurant getting the crowd energized before the start of the race and even a roaming leprechaun around for pictures and high fives. Even the water they were handing out was in the St. Patrick's Day spirit and was dyed green. One of my favorite things about running at the beach would be the flat terrain. When compared to the hills that I run on at home, I feel like I'm just cruising along during these races. After beginning at 4th Street, the race course started heading South to the pier and then around the tram stop at the inlet. After making the turn, the course took runners north on the boardwalk to 16th Street where there was once again a 180 degree turnaround and then back south to end at 4th Street. Running along the Ocean City boardwalk was beautiful with the sand and the water creating the perfect backdrop! 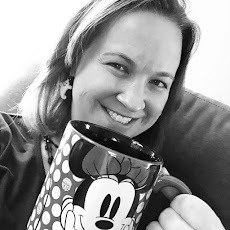 I've been training for my half-marathon using my run/walk intervals at home so I did that for the 5K - 90 seconds running, 60 seconds walking - and finished with a pace of 11:53 minutes per mile. I felt good at the end of the race and hope that I can keep that kind of pace for my first half-marathon in less than 2 months. At the end of the race, all finishers received a ribbon and each runner received a free drink. 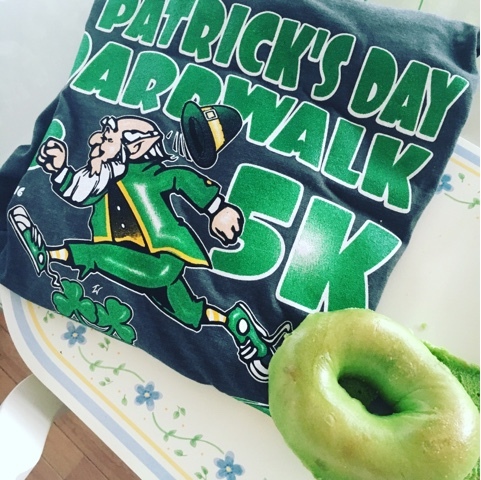 If you head to the beach to run this race, be sure to stick around town afterwards for the St. Patrick's Day parade which takes place the same day as the run and begins at noon. The parade runs from 61st Street to 45th Street along Coastal Highway. While I didn't quite find a pot of gold that day, I did find a good time and festive event!